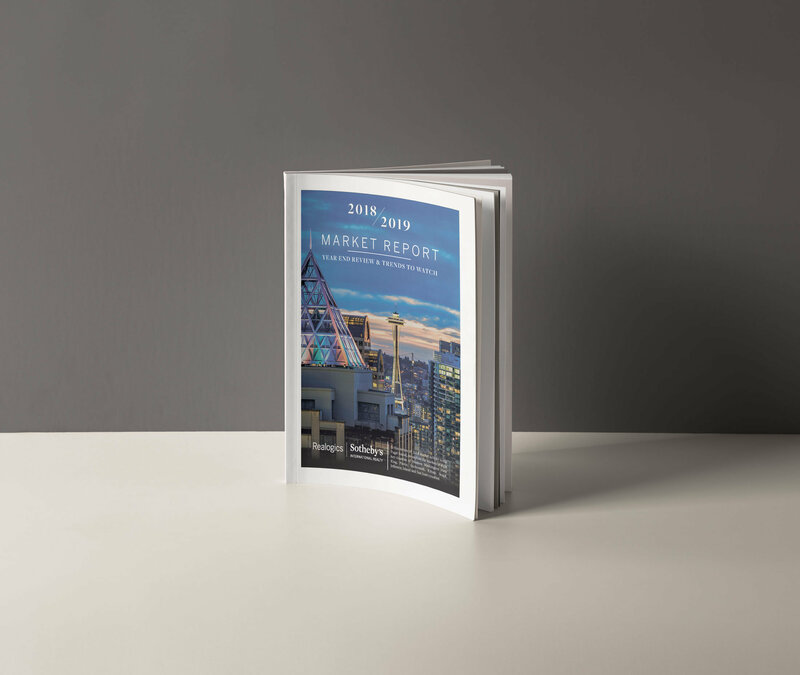 Realogics Sotheby’s International Realty recently released the 2018/2019 Market Report, which features a year-end review of market fundamentals in our region, an in-depth look at eight key counties and 31 communities around the Sound, and a look ahead and what to expect for the rest of 2019. Below I’ve outlined data for Kitsap County and the Bainbridge Island and Poulsbo markets for you to consider as you compile your real estate goals for the coming year. I offer these thoughts, as a conversation starter so we may discuss how these trends may affect the homes in your neighborhood. Though the number of residential sales on a quarterly basis was on a steady rise beginning in the third quarter of 2011, that figure began to flatline in the final quarter of 2017 and declined throughout 2018. In all, there were 7.4 percent fewer residential sales in Kitsap County than there were in the previous year. Home sales in Kitsap County are nearly all residential, with condominium sales representing just 5.3 percent of the total sales in 2018. With the exception of the first quarter of the year, when the median cumulative days on market fell to 19—compared to nearly one month in the first quarter of 2017—market times on a quarterly basis held steady compared to those of 2016 and 2017. The median residential sales price in Kitsap County for 2018 was $345,000, with a compound annual growth rate of 9.2 percent from 2014 through 2018. In retrospect, the 17.8 percent increase in home sales on Bainbridge Island for 2017 appears to have been a reflection of pulled-forward demand, as the number of sales in 2018 declined by 8.7 percent. This figure, however, was greater than figures from 2015 and 2016, by 5.0 percent and 7.6 percent, respectively. Compared to 2017 data, there were fewer condominium sales on Bainbridge Island in 2018, contracting to a 21.5 percent proportion of overall sales. On a quarterly basis, the median cumulative days on market hovered around one month, before pushing up to 39 days in the final quarter of 2018. 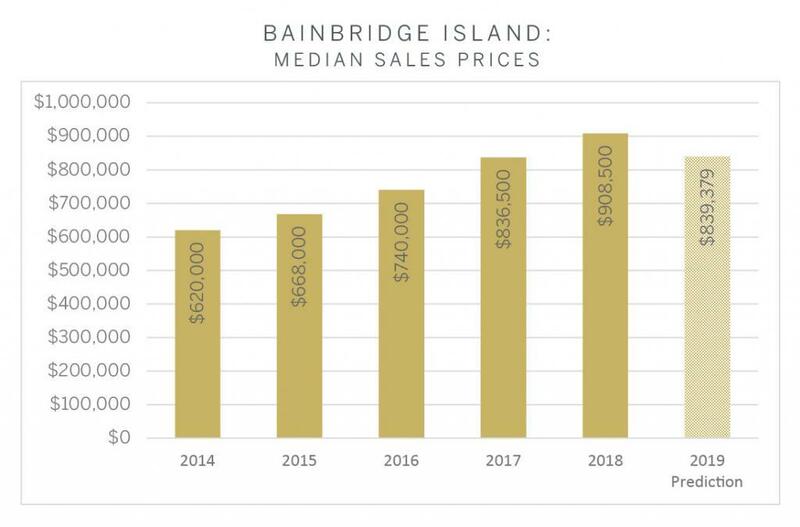 The median residential price on Bainbridge Island increased at a compound annual growth rate of an even ten percent from 2014 through 2018. A modest decline of less than eight percent is forecast for 2019. Poulsbo is primarily a retirement and second-home destination, which has contributed to a relatively steady pattern in transactions since 2014. While there were fewer homes sold year-over-year in 2017 and 2018, both figures were only in the single digits, at 7.7 percent and 6.3 percent, respectively. Conditions in Poulsbo are similar to those in Anacortes, with Poulsbo serving as a primarily residential market. Residential homes comprised over 96 percent of all homes sold in 2018. With a median cumulative days on market of 25, the market time in the fourth quarter of 2018 did not exceed that of 2015 (which was the case in many of the Puget Sound communities surveyed). However, similarly to Burien, that ceiling comes with longer market times in the second and third quarters, respectively at 31 and 21 days in 2018—sellers and their real estate agents should weigh this trend carefully. 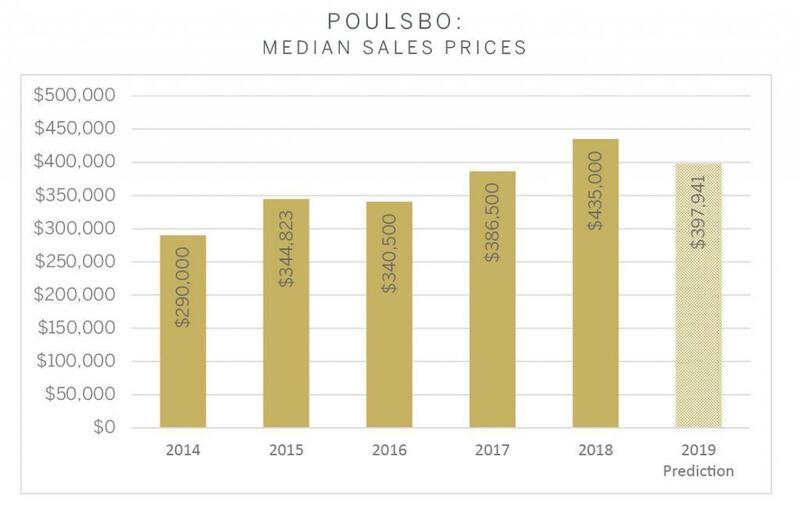 The median residential price in Poulsbo advanced at a compound annual growth rate of 10.7 percent from 2014 through 2018. A modest retracement of 8.5 percent is expected for 2019. For additional market trends including a 2018 retrospective and 2019 look ahead, read the full report below or contact me to discuss the latest trends.